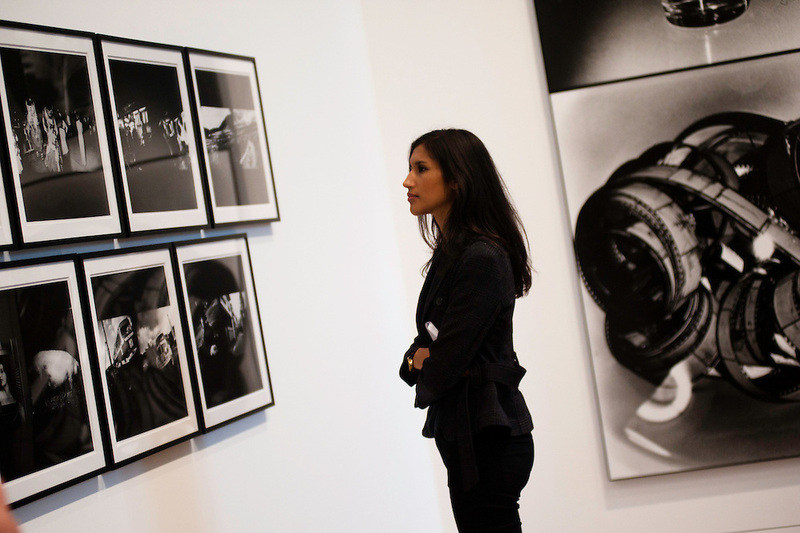 London, UK - 8 October 2012: a woman looks up at pictures by Daido Moriyama. The exhibition examine the relationship between the work of William Klein (b.1928) and that of Daido Moriyama (b.1938). Taking as its central theme the cities of New York and Tokyo, the show explores both artists' celebrated depictions of modern urban life.